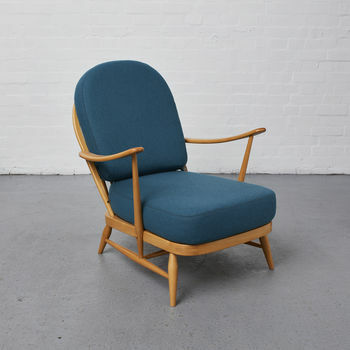 Upholstered in a teal wool, this is a vintage chair by Ercol, from its Windsor range. It has been fully restored from start to finish at our workshop in Greater Manchester. The traditional craftsmanship of Ercol’s mid-century design really shines when given a lift with a contemporary restoration. The chair has new cushions, made by us. These are upholstered with recycled wool from Kirkby Design’s innovative Leaf collection, which uses reconstituted wool from the fashion industry. This retro chair with its warm wood finish has undergone a transformation to give it a contemporary edge. As with all our refurbished pieces, the frames are hand restored and finished with a wax from our Reloved Vintage paint range. The seat and back cushion on this chair are overlocked and top stitched for durability with A-grade reflex foam for extra comfort. 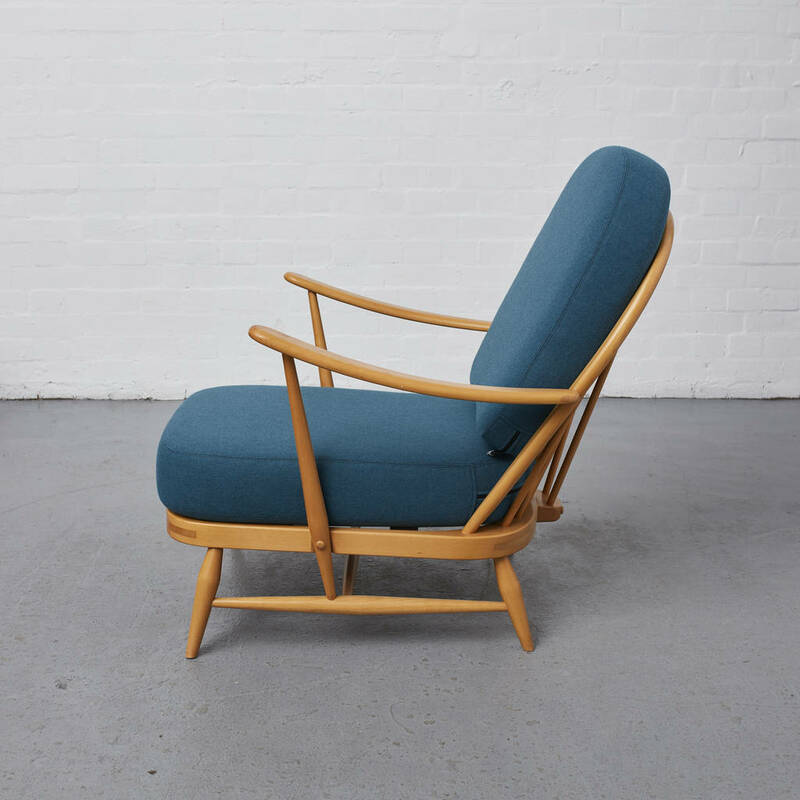 Ercol has been produced since 1920, design has always been at the heart of ercol – design for comfort, design for function, design for beauty. As well as there in-house design team, they commission some of the best in British design talent to bring outstanding furniture. 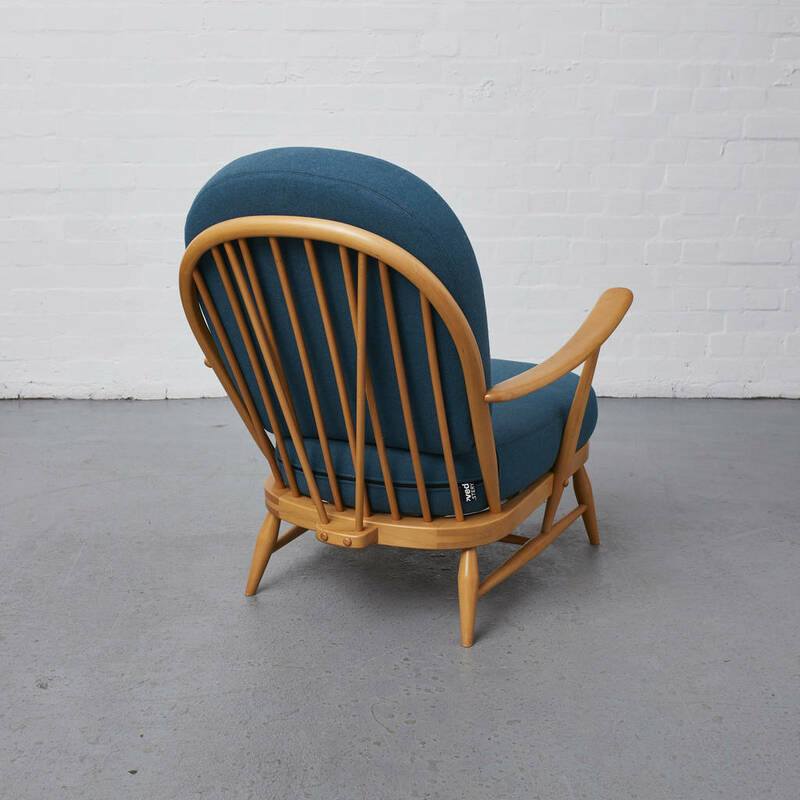 There designs constantly evolve to reflect how you live today, whilst continuing to reflect ercol’s quality and craftsmanship. This product is dispatched to you by Reloved Upholstery.